Spending less than you earn is one of the most popular personal finance concepts that everyone should adopt. It may sound easy at first, but if you don’t budget, live in an area with a high cost of living or tend to overspend, it may be a little difficult to accomplish. 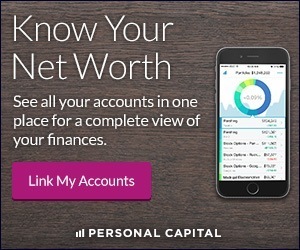 On the contrary, living below your means is the key to building wealth and freeing up more of your income to save, invest and meet other financial goals. If you spend everything you earn each month, it will be hard to get ahead financially. This is why it’s so important to adjust your lifestyle to start spending less and setting more aside. This doesn’t mean you have to stop living your life because there are plenty of ways to lower your spending without compromising the things that matter the most to you. 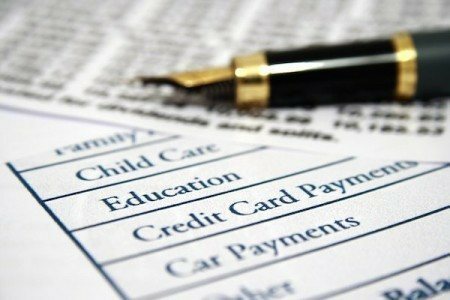 Start by writing down all your bills, your living expenses, debt payments, food and groceries, fuel expenses and anything else that you are required to pay each month. When you add everything up, list your monthly income next to it and see if you would have any money left over after your required expenses are paid. Ideally you should have something left over because you’ll still need to consider expenses like random trips to the store for household goods and supplies, entertainment, dining out, etc. If your disposable income is looking pretty tight at this point, it’s probably time to redo your budget. Cutting your expenses is crucial to living below your means and you can start slow with simple things like cable, your phone bill, auto insurance, changing your bank to avoid unnecessary fees and so on. As you redo your budget, literally take each expense one by one and consider how you can reduce it. Expenses that seem unnecessary can be cut. This year I cut $6,220 annually from my budget by trimming my expenses and cutting out unnecessary categories of my budget. In a nutshell, I cut cable, lowered my auto insurance, got a much cheaper phone plan and even moved to save more money. Cutting the dead weight from my budget was the best thing I could have done because now I am more comfortable by spending less than I earn and having more money to save and spend on things I truly care about. 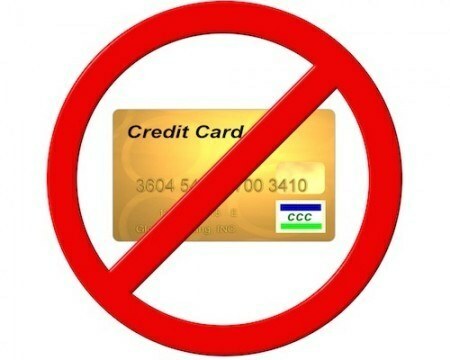 Credit cards promote the act of overspending and not budgeting. Unless you’re using credit cards sparingly or strategically for rewards and benefits, I would steer clear of them for just a few months. Using an all cash budget will allow you to spend less and budget more carefully since you won’t have credit cards to fall back on. Remove your credit cards from your wallet in order to avoid temptation and your spending should slowly decrease. It’s so easy to swipe a card with the idea that you will pay the balance later. But when you are paying in cash or swiping your own debit card and the money is leaving your account immediately, it slows down your spending and makes you think more about the purchases you make. Lifestyle inflation is bad news for anyone who’s trying to pay off debt or manage their finances better. Ideally, each year your income will increase as you advance your education and gain more experience. If your lifestyle requirements increase while your income does, you will always be tight on money. Lifestyle inflation will keep you stuck in the rat race, and continuously trading your time to chase money while living paycheck to paycheck. It’s important to keep your needs and expenses low and live like you make less than your current salary in order to avoid lifestyle inflation. Just because you can afford something, doesn’t mean you should buy it (especially if you don’t need it). Make use of what you have and always take the more frugal approach and you won’t become victim to lifestyle inflation. In combination with all of the techniques I mentioned above, it’s also a good idea to work on increasing your income – not so you can spend more – so you can have a better monetary cushion to fall back on. If you only make $25,000/yr, it’s going to be harder for your to spend less than you earn than it would be for someone who makes $50,000/yr. If you’ve cut your expenses and started following a strict budget but money still feels tight, you always have the option to earn more whether that means getting a temporary second job or establishing a side hustle. It’s no secret that I’m a huge fan of side hustling because it allows you earn money by doing something you enjoy while controlling your earning potential. If you’re earning just enough to make ends meet with your main job, start side hustling and use the income you earn to save, invest or meet any of your other financial goals. This is the main point of spending less than you earn and living below your means; so you can have enough money left over to work toward your goals and make your money work for you. If you spend years and years just getting by with paying your bills and monthly expenses, it will be extremely hard to get ahead in life and do what you want to do with your money. The one and only solution is quite simple: start spending less than you earn. 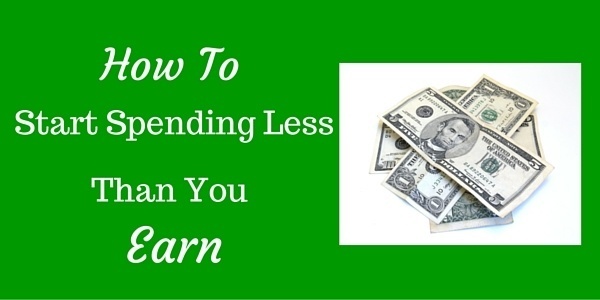 How do you try to spend less than you earn? Are you a fan of budgets or do any of these other techniques appeal to you?